Property in Spain. 4 bedrooms. 2 bathrooms. Terrace. We have a one bedroom apartment for rent inside Puente Romano hotel, It is newly furnished ground floor apartment , with own terrace. Walking distance to all amenities, beach, restaurants, bars. Puente Romano is an exclusive 5 star hotel and spa resort in Marbella Golden Mile. It is a perfect place in the heart of Marbella golden mile. This spacious and detached villa with private swimming pool has a beautiful location on a hill where you have gorgeous panoramic views of the Mediterranean Sea. The villa is quitly located near the village of Arenas, about 10 km inland from the coastal town of Torre del Mar. The villa is completely ground floor and comfortably furnished. All bedrooms have an en-suite bathroom, and the villa has air-conditioned for hot summer nights. Around the pool there are terraces with sun loungers and under the porch there is a dining table where you can eat al fresco. 15 minutes drive to various shops in Velez-Málaga and the beaches of Torre del Mar in about 20 minutes. In the area you can find good restaurants and you can also eat well in the chiringuitos (beach bars). An ideal villa for your well-deserved vacation! NOTE: the last 900m to the house you will drive over a steep but paved path. This path is easy to drive, but some caution is required, especially in the dark. This makes the road primarily suitable for people with considerable driving experience. Use the first gear of the car and you will have no problems. Cozy and colorful holiday home 20 minutes from the Costa del Sol. Enjoy beautiful views of the sea while you enjoy your meal. The location is quiet near the village of Arenas. You could spend the entire day on the terrace and occasionally take a splash in the adjacent private swimming pool. The house is on a slope and you enter via a staircase. Furthermore, everything is on the ground floor and the house is fully equipped. Immediately at the entrance is the well-equipped kitchen. The attractive living / dining room gives access to the bedrooms. All areas are air-conditioned. In Arenas you will find the bakery and typical Spanish restaurants and bars. The pleasant resort of Torre del Mar offers a boulevard, sandy beach, chiringuitos and a good choice of various restaurants. NOTE: the last 900m to the house you will drive over a steep but paved path. This path is easy to drive, but some caution is required, especially in the dark. This makes the road primarily suitable for people with considerable driving experience. Use the first gear of the car and you will have no problems. Holiday home in stunning location offering panoramic views of the Mediterranean coastline. The perfect place for anyone looking for total relaxation under the Spanish sun. The house enjoys a peaceful hilltop setting a 10-minute drive from the nearest beach. There's a large terrace in front of the house. It features some loungers, a garden set and a small private swimming pool. The pool is great for a refreshing dip and simply to unwind. The garden also has a variety of fruit trees. The large windows on all sides make this house nice and bright and at night, they allow you to admire the lights of the boats out at sea from your living room. Those looking for more entertainment will like it here too. There are many restaurants, shops and (tapas) bars nearby. Torre del Mar has an attractive promenade lined with typical Spanish chiringuitos (beach cafes). A daytrip to Malaga is also a possibility. This lovely accommodation is only a 45-minute drive from the airport. NOTE: the final 1,000 metres up to the house are via a steep and narrow road. It is suitable for motorised traffic, as long as some extra caution is exercised. In first gear, you should not have any problems. Located in Malaga Province. Sublet.com Listing ID 4139977. For more information and pictures visit https:// ... /rent.asp and enter listing ID 4139977. Contact Sublet.com at ... if you have questions. Located in Granada Province. Sublet.com Listing ID 4103254. For more information and pictures visit https:// ... /rent.asp and enter listing ID 4103254. Contact Sublet.com at ... if you have questions. Bright apartment in the complex La Corniche, a prestigious urbanization in the heart of Nueva Andalucia. The complex is situated in an elevated area offering the best views of Marbella and close to the beach. The urbanization consists of 24 hour security, landscaped areas, swimming pool and a tennis court. This wonderful apartment is distributed in 2 bedrooms with their bathrooms, a fully equipped kitchen and a living room with access to this huge terrace overlooking the Mediterranean Sea and the mountain La Concha. Bright apartment in the complex La Corniche, a prestigious urbanization in the heart of Nueva Andalucia. The complex is situated in an elevated area offering the best views of Marbella and close to the beach. The urbanization consists of 24 hour security, landscaped areas, swimming pool and a tennis court. This wonderful apartment is distributed in 3 bedrooms with fitted wardrobes, 2 of them en suite a fully equipped kitchen and a living room with access to this huge terrace overlooking the Mediterranean Sea and the mountain La Concha. Incredible apartment in the heart of Puerto Banus Wonderful vacation apartment in the heart of Puerto Banus. This spacious apartment is in a privileged situation with shops, restaurants, parks, beaches, etc. where you will be able to do your day to day in few steps of the apartment. The urbanization consists of a private swimming pool, paper tracks, GYM and the tranquility of a 24h concierge. The apartment is organized in 2 bedrooms with two bathrooms, a fully equipped kitchen and views from any room to the mountains or the sea. Apartment in Sotogrande Cadiz, SPAIN. Beautiful semi-detached house. 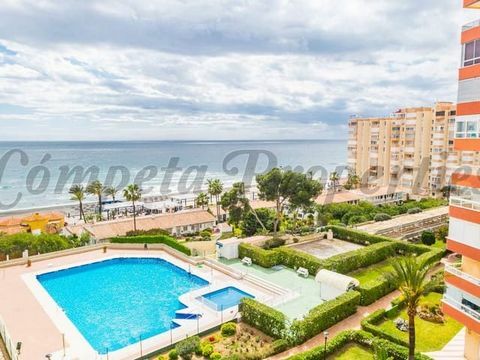 It is situated in the second line of the beach with direct access, Estepona East Side. The house has 166m2 distributed in private garage, entrance hall, fitted kitchen, bathroom and living room with fireplace and a spectacular and spacious terrace. Direct access to garden and the communal pool exit. On the first floor we can find 3 bedrooms, 1 en suite. The top floor corresponds to a great solarium with the entire surface of the housing. Perfect holidays! Brand New Chalet with a plot of 9000 square meters and a constructed area of 160 square meters. Big terrace of 300 square meters. 3 bedrooms, 2 bathrooms, open fire-place, double crystals, pool and terrific views to the sea and the mountains. Bright Studio Near The Beach With Swimming Pool. Beautiful studio with views to two seas. Just meters from the beach. With swimming pool (May-Sep) Best for two people, but can sleep up to four. Refrigerator, Hot water, TV, Cooker, Washing machine, kettle. Bright studio in a quiet area with stunning views of the river Genil Meadow. The studio is located near the river Genil Meadow with wonderful views of the meadow and mountainous area.